Since her most comfortable view is through a lens, it’s no surprise to learn that Marlee has real vision and focus. 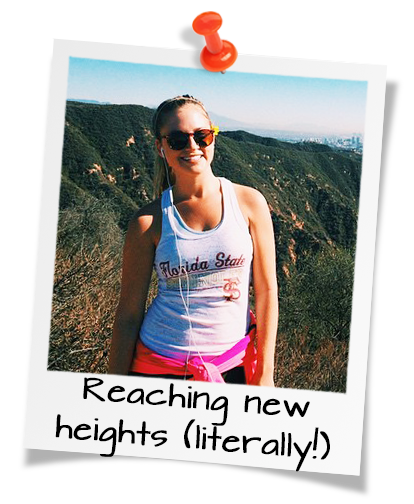 During her years at Florida State, she got a taste of what the wild and wooly world of marketing has to offer, following her appointment as Brand Ambassador Coordinator for the coolest clothing boutique in the (coolest) college town. Bright ideas and a knack for practical execution led the way to significant sales success. Upon graduation, she returned to South Florida and after an initial year getting her feet wet at another firm, we scooped her up, dried her off and plunked her down into the middle of the action. She provides support for clients including CityPlace, CANVAS Outdoor Museum Show, J+J Family of Farms, the West Palm Beach Downtown Development Authority, and more. When she’s not riding her yellow beach cruiser around the streets of Delray, you’ll find her head-banging at music festivals, indulging her foodie tendencies, and of course obsessing over a perfect camera angle.